Despite decades of improvements in dental care, millions suffer tooth loss — mostly due to tooth decay, periodontal disease, or injury. For many years, the only treatment options available for people with missing teeth were bridges and dentures. But, today, a superior solution is available, dental implants. The benefits of dental implants can change your life for the better as they are enhancing your confidence, facial appearance and smile as well as your oral health and general well-being. With dental implants, you will gain a permanent solution to missing teeth which will perform just as well as your natural teeth and provide a fully functioning replacement. At Cheadle Dental we aim to provide the very best in dental implant treatment without any of the risks. A dental implant is technically a small titanium metal screw that is carefully implanted into the jawbone to replace a missing natural tooth root. The implant can act as a support for crowns, bridges or even holding dentures firmly in place. However, it also goes beyond that in functionality. 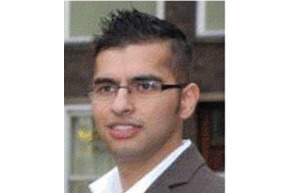 Dr jussab has over 10 years of experience in implant dentistry is undergoing a masters in this field. He has gained vast experience over the years placing implants in the simplest to the most complex of cases and helping change people’s lives and improving there well-being. Improved appearance – Dental implants will look and feel like your own natural teeth. Implants can restore the smile you have lost or offer you the smile you always wanted. Easier eating – Sliding dentures can make chewing difficult, however, with dental implants, you can start eating all your favourites again. Foods the likes of apples, steak and even corn on the cob will no longer be a taboo. Eat with confidence and enjoy the flavours of your favourite foods without the fear of displaced dentures. Restore your smile – A true dental implant is the only thing that can replace the root of a missing tooth and eliminate the need the for dentures and their tedious maintenance process. Aesthetically pleasing – Implants look and feel just as good or even better than your natural teeth and because they are designed to fuse with bone, they become permanent. Keeping the bone structure – Dental implants also have the role of maintaining your bone structure and support your facial tissues. They can reduce or eliminate bone atrophy, which can be the cause of various facial cosmetic changes. Alternatives cannot compare – With dental implants you will avoid cutting your natural teeth to replace a missing tooth with a bridge, for example, and they offer a permanent solution that cannot decay. Single tooth replacement – In the case of losing a single tooth to an accident a dental implant can provide a reliable permanent solution. Unlike a traditional bridge, this treatment does not require any cutting of the adjacent teeth. Multiple teeth – Dental implants can also be used to support several teeth. This usually involves the placement of two implants, which are used to support a fixed bridge. Full arch – The full arch serves as an alternative to a denture and it can replace all the teeth which are anchored by several implants. Depending on the individual case, a different number of implants is required. Dentures – Thousands of people are having trouble with loose fitting dentures. Dental implants have another role, and that is to secure dentures using dental implants. This effectively reduces irritation of the gums and restores chewing function. This procedure also provides stability and gives the wearer confidence to eat what they want. Q: I think I might need to have an implant. What should I do? A: Book a consultation with our dentist, who will examine you and then talk through your options. You will receive advice on the different types of implants available and the related costs. Q: Will I need to go to hospital for the treatment? A: No. Our team have been trained to carry out implant work in house. You should feel more relaxed in familiar surroundings and we can monitor your treatment more closely. A: Please visit our Prices page for a rough idea, however, each case is individual. Your dentist will advise you of the costs involved, as well as options for paying in instalments.